Description of Coloring Page: A sunroom would be lovely for your paper doll's doll house. 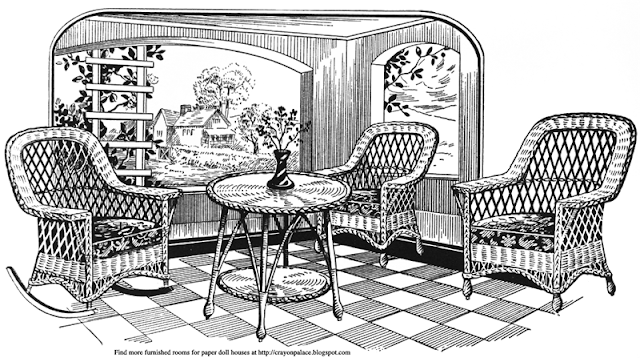 Color these wicker chairs and table and two big picture windows with a cottage view for your doll's to enjoy. Then paste it to the walls of a shoebox room or an accordion folded doll's house.